I know pumpkin recipes are everywhere at the moment, I guess its just the season and I am sure there is room for one more. 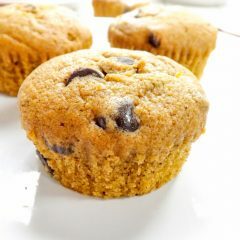 Especially when it is as tasty and easy as these Pumpkin Chocolate Chip Muffins. Perfect for breakfast if left plain and great as a little Halloween treat if simply decorated with a little orange fondant icing. 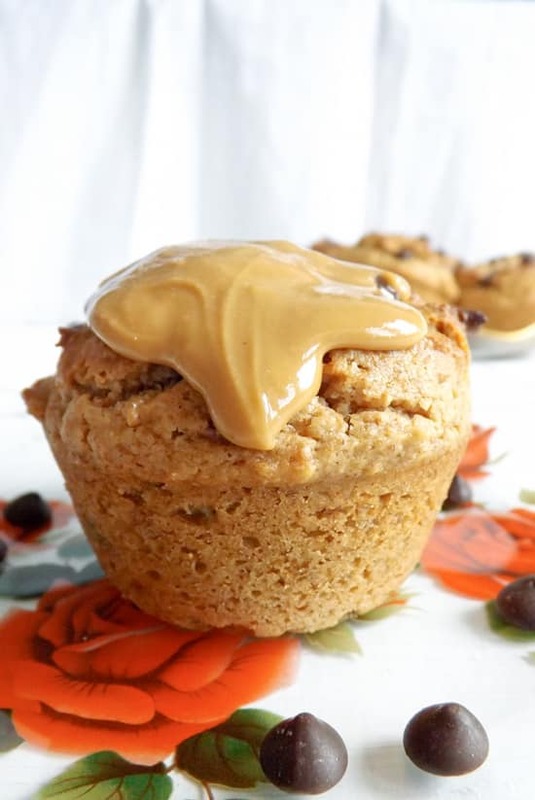 Who doesn’t love a muffin? 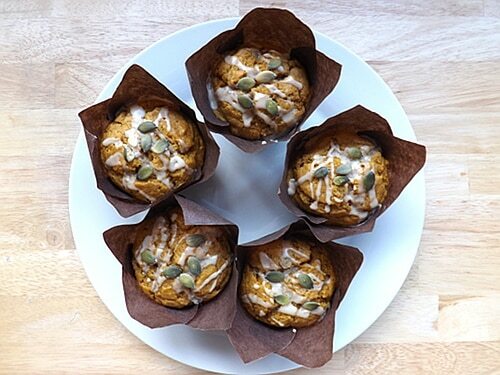 These lovely little treats are packed full of seasonal pumpkin and lightly spiced with a few warming sweet spices. And dotted through out with mini dark (semi-sweet) chocolate chips, though regular sized ones work just as well. To spice these up I used a combination of cinnamon, ginger, cloves, all spice and nutmeg, the reason I used all these spices is that pumpkin pie spice is near on impossible to get in the UK. I have a great recipe for a homemade pumpkin pie spice if you want to make a batch up for yourself if not the above combination will give you the same result. 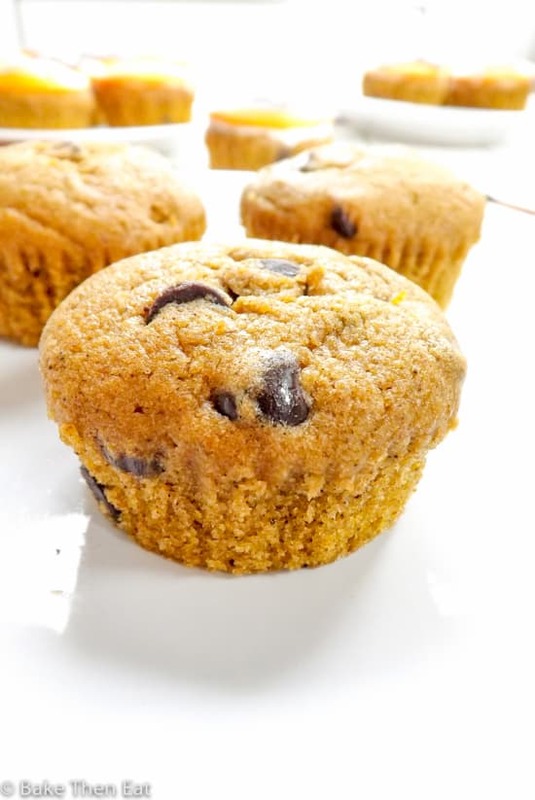 The great thing about these little pumpkin chocolate chip muffins is they are so versatile. 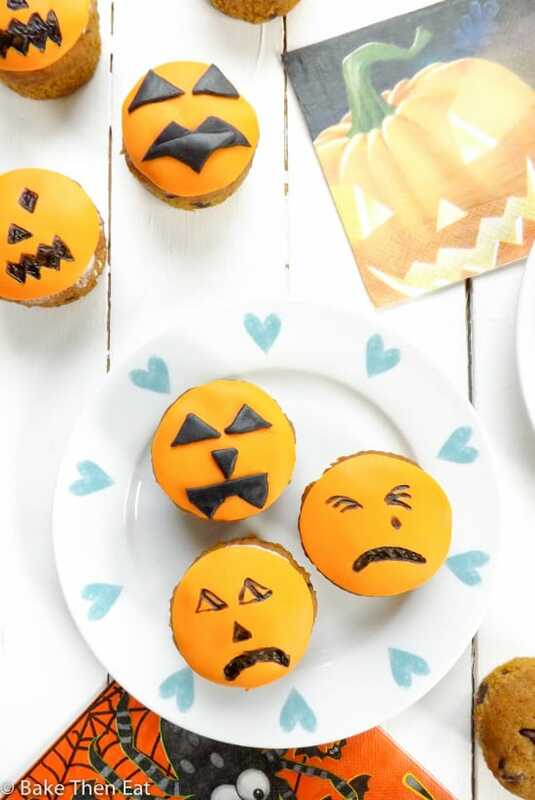 Top them with a generous swirl of frosting and they make a great cupcake style treat or place a little disk of orange fondant on top and draw a silly face on them using an edible black ink pen and you have a quick and easy Halloween treat. Or even use a little black fondant to make some faces. I stuck the fondant on with a little bit of leftover buttercream I had loafing in the fridge. Jam would also work, as would edible glue. Use whatever you have to hand and don’t go rushing out to buy special products. We like to keep things cheap and cheerful on this blog and most of all simple! Halloween has kinda crept up on me and I haven’t really gotten round to planning much this year. 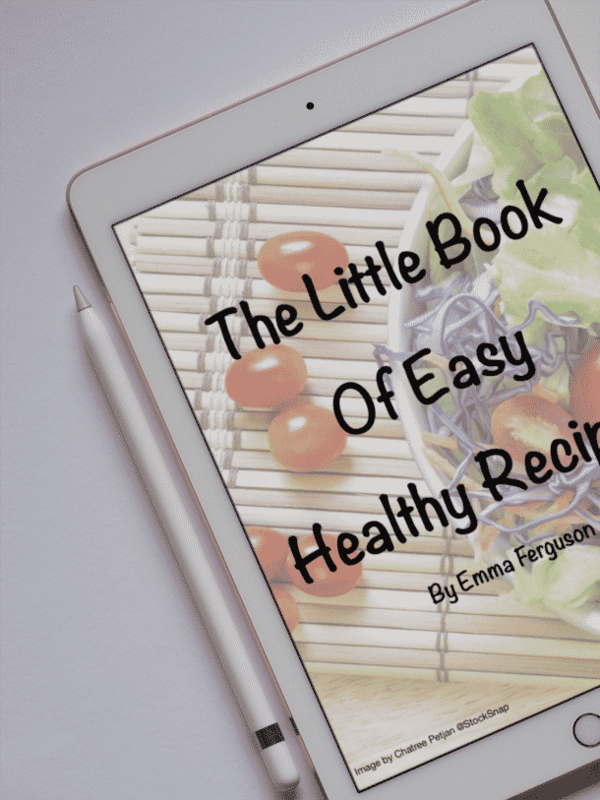 That is why this recipe is so great as its super quick and easy to put together. And as I have proved you don’t need to be an excellent artist to pull these off! Though I am sure you can make a better job of it than me! Better yet get the kids involved in drawing the faces to make them even more fun. 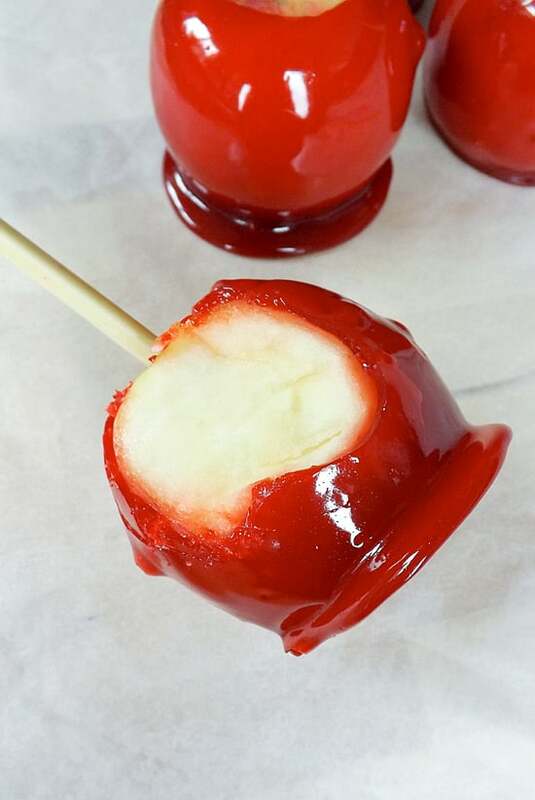 So what recipes do you rely on for quick and easy Halloween treats? I could really use some ideas this year. 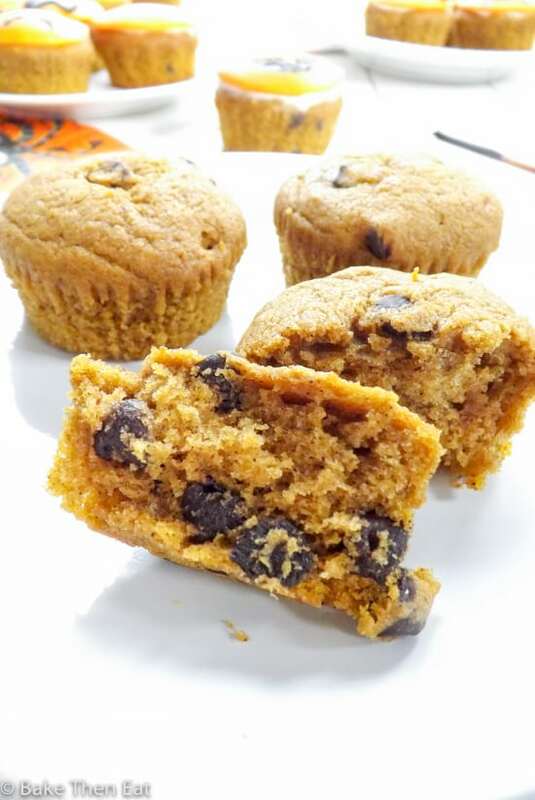 Pumpkin Chocolate Chip Muffins, a lightly spiced pumpkin muffin dotted throughout with chocolate chips. 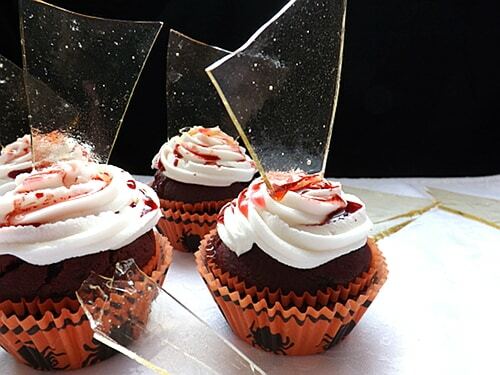 Perfect for breakfast or decorated and iced for a lovely halloween treat. Preheat your oven to 180C / 350F / Gas mark 4 and line or lightly grease a large muffin pan. In a medium sized mixing bowl sieve the flour, baking powder, baking soda, all the spices and salt together. Don't worry if you don't have a sieve just place them in the bowl and gently mix them all together giving them a gentle whisk with a fork. Lightly cream the butter and sugar together until they are well combined. Add the eggs one at a time beating in-between each addition. Then add in the vanilla, pumpkin puree and vegetable oil. Mix everything until well combined. Don't worry if the batter has split a little the dry ingredients will bring it all back together. Combined the wet and dry ingredients together and with a gentle hand mix until just combined. Add in the chocolate chips and stir until they are evenly distributed throughout the batter, being as gentle as you can with the batter. Divide the batter into your muffin pan, careful not to overfill it. Each hole should be no more than 2/3rds full. Pop them in the middle of your hot oven for 18 to 20 minutes. Check them for doneness after 18 minutes by inserting a pick into the centre of one of the muffins if it comes out clean they are baked if not they will need another couple of minutes. Take them out of the oven allow them to rest in the muffin pan for a couple of minutes before turning them out onto a wire rack to fully cool down. Undecorated these muffins will last 5 to 7 days kept in an airtight tin. 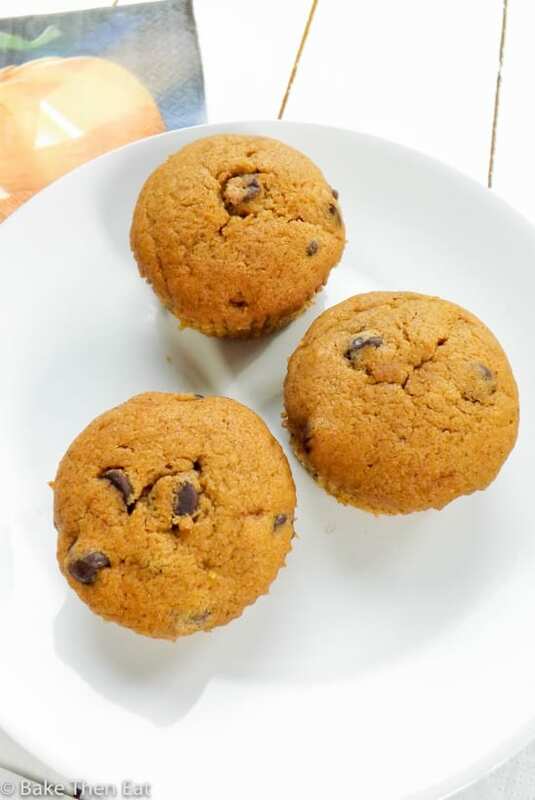 If you wish to decorate them, by placing an orange disk of fondant icing on them then these muffins will need to be kept in an airtight container in the fridge for 3 to 4 days. I used 250 grams (9 ounces) of ready made orange fondant icing for the decoration and 50 grams (1 and 1/2 ounces) of black ready made fondant icing.The other items I used was a black edible ink pen and a small amount of buttercream to fix the fondant disks in place but jam can be used in its place.If you have pumpkin pie spice on hand and wish to use it just replace all the spices with 2 and 1/4 teaspoons of it. Yum! 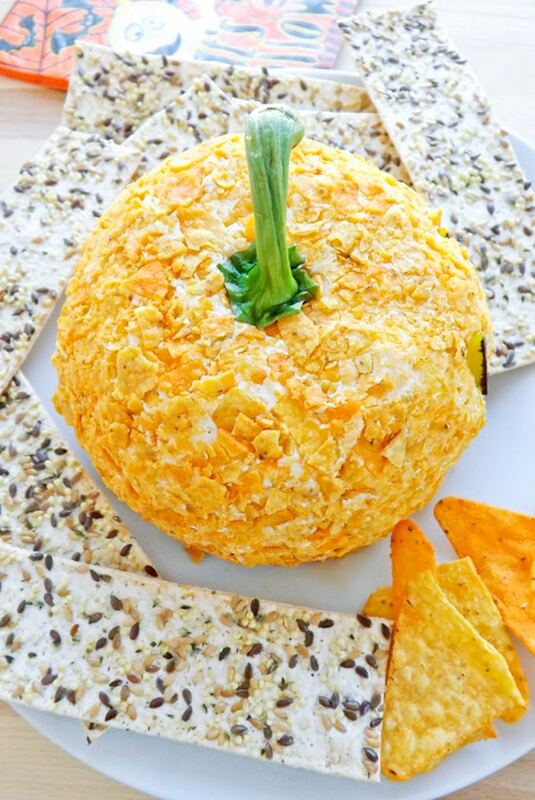 I crave all things pumpkin from September through Thanksgiving, and I especially love it in breakfast form. And I can’t imagine a better addition than chocolate! 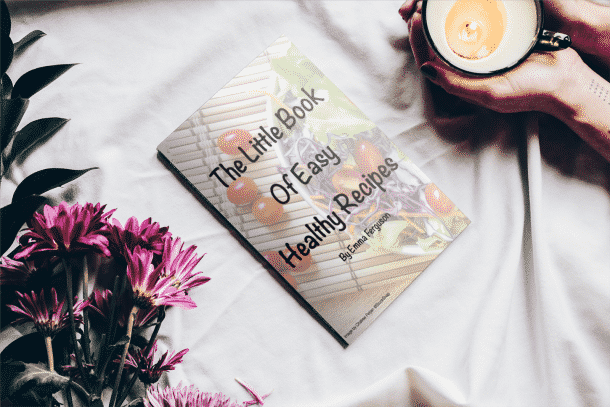 You always have great muffin recipes. 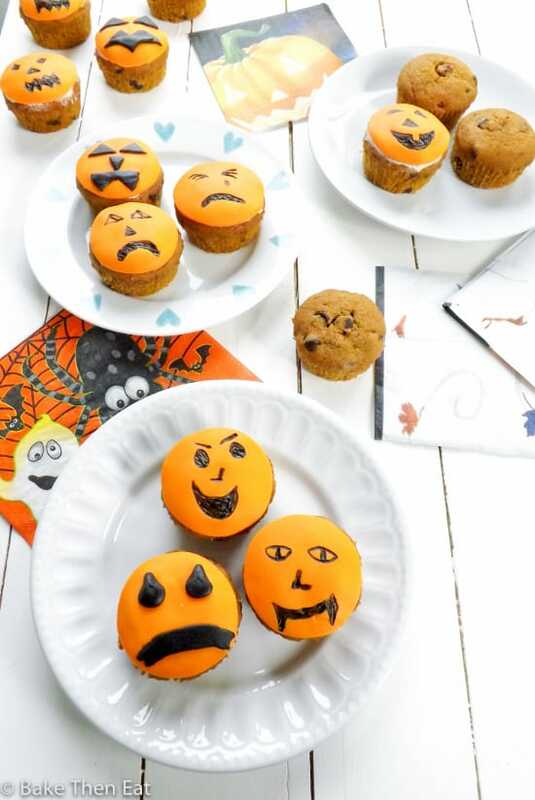 These look delicious and i love the pumpkin faces you put on top! 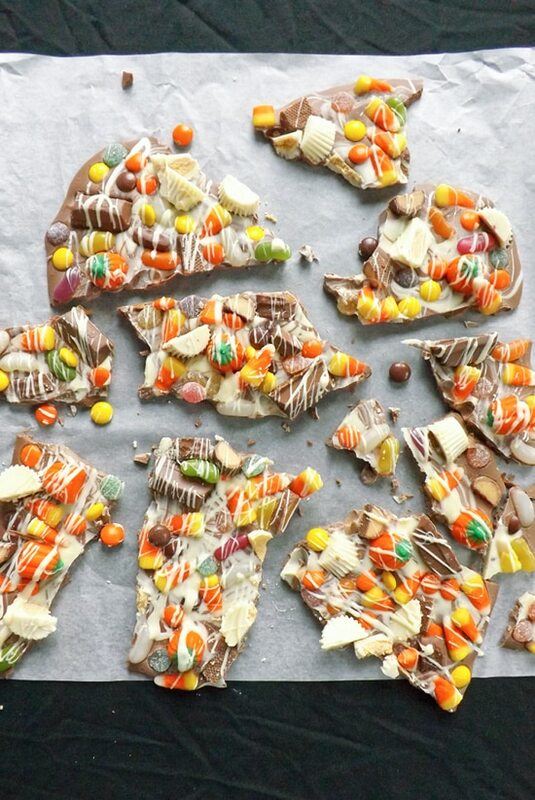 Pumpkin and chocolate is such an awesome combo – one of my favorites! 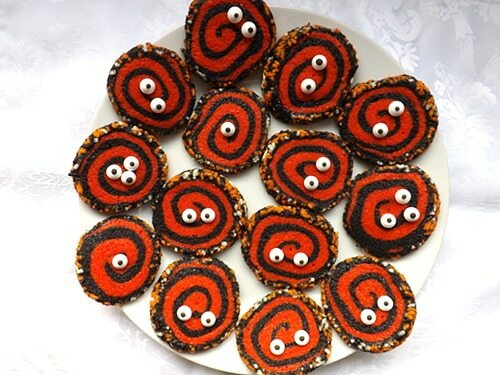 These muffins are so fun the way you decorated them! Hi Ashley, thank you 😀 Pumpkin and chocolate are great bed fellows! These muffins look delicious! Love pumpkin and chocolate – it’s such a great combo! Love the Halloween decoration, too! 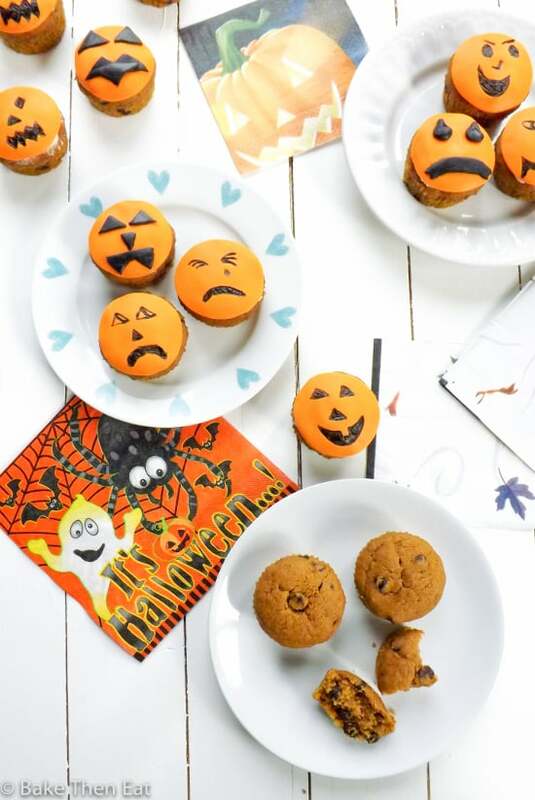 There can never be too many muffins 🙂 I love how you decorated them, they look so adorable and perfect for Halloween! Your muffins look amazing! And I love how you dressed them up for Halloween! Awww, these muffins look adorable. Sounds super yummy! They look super cute with orange fondant!